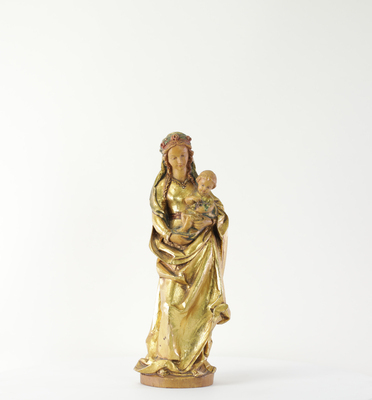 Painted wooden statue of the Blessed Virgin Mary holding the Christ child. Christ is holding flowers. This statue is part of the Cecil and Desha Coil Statue Collection donated by Helen Zechar.